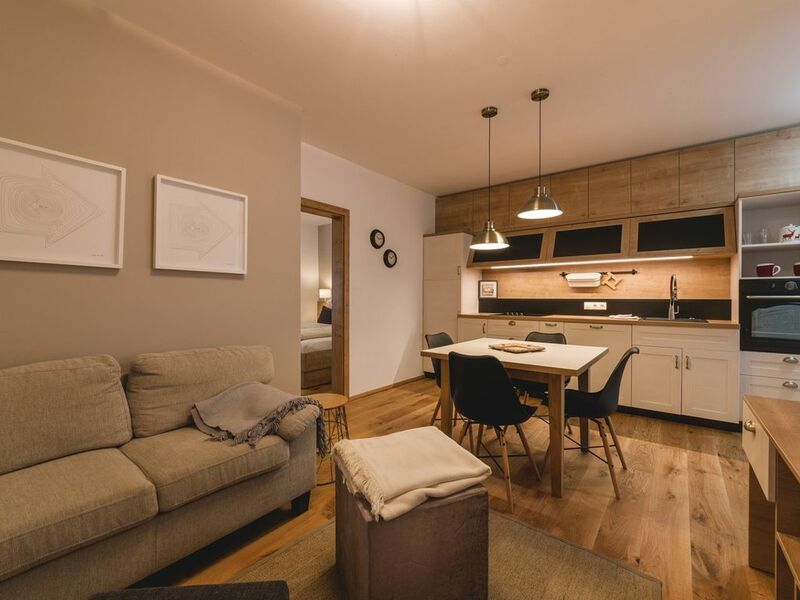 The luxury apartment is located in the center of Mallnitz, which lies in a national park and is surrounded by the beautiful nature. A welcoming atmosphere in the company of natural materials. The Chalet is located in the center of Mallnitz, which lies in a national park and is surrounded by beautiful nature. Completely renovated rooms offer comfort, making a great and warm feeling of a home. You have all the luxury needed for a perfect vacation, including sauna, wonderful kitchen, cozy living room with a romantic fireplace. Skiing, biking, hiking, relaxing, you name it, Mallnitz has it. Looking forward to your stay. The apartment is fully renovated, suitable for families, or groups, adapts to 4 people and offers luxurious comfort. If you enjoy cooking, you will be especially pampered by our modern kitchen with the latest equipment. Your dish washing will be taken care for by the Bosch super silent dishwasher. By offering latest 4K LCD TVs, we ensured you would not miss your favorite TV programs. Via Wi-Fi you will be able to connect to the Internet anywhere in the room. We also haven't forgotten about books! There are two bedrooms (1 Adults bedrooms and 1 bedroom with 2 separate beds with the possibility of division). Furthermore there is also a single bed on the seating set. Fresh bed linen included. Fantastic location in the center: In the immediate vicinity of the ski bus station, bakery, bar, ski school and sports equipment rental, in which our guests have a special discount. 3-minute walk to the ice ring and thermal pool. In the nearby are plenty of opportunities for recreation, fitness, and relaxation in an untouched nature. Cycling, skiing, ski touring, cross-country skiing, freeride, rafting, hiking, horseback riding, tennis and much more.